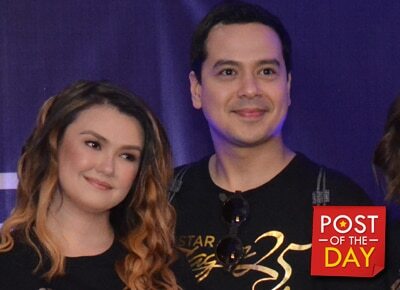 LOOK: Was Angelica Panganiban at John Lloyd Cruz’s house in this photo? Angelica Panganiban recently posted a cropped photo of her on Instagram. In the photo, she only showed her sunglasses and its reflection. “This is not an endorsement photo,” she captioned her post. This is not an endorsement photo ????????????? Keen fans of Angelica noticed the pool with an infinity sign in the reflection and said it was John Lloyd Cruz’s property. The actor’s house was featured in YES! Magazine in 2010.